This AIM USB altimeter from Entacore includes the ability to have its onboard software (firmware) upgraded by the user from his or her PC. The altimeter includes the latest firmware available when shipped. Only 25mm in width and 80mm in length. 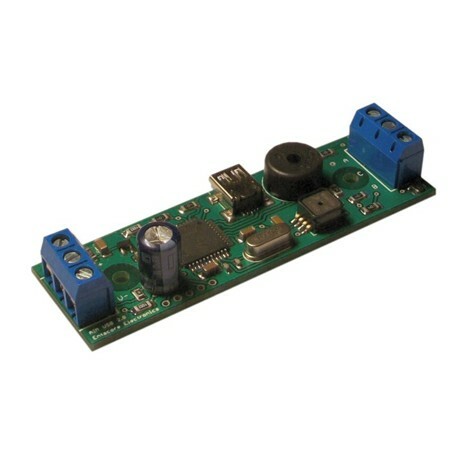 Uses any power source from 6v to 14v, including small batteries like a 12V A23. Maximum altitude in excess of 45,000ft MSL. Records an unlimited number of flights totaling just over 60 minutes Unlimited flight recording. Ejection events are recorded - very useful for debugging.